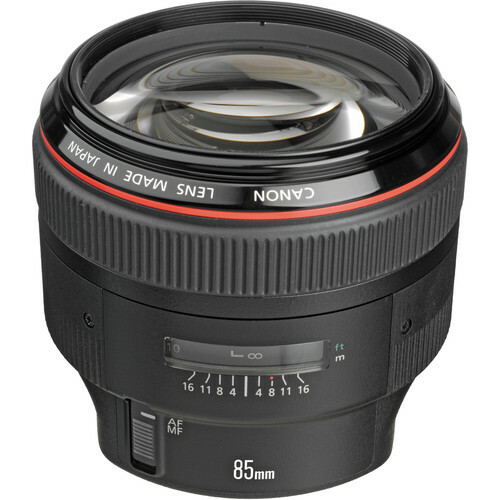 The Canon EF 85mm f/1.2L II USMi s an L-series lens well-suited for portraiture. The impressively fast f/1.2 maximum aperture affords a great degree of control over depth of field for isolating subjects and producing desirable selective focus effects. Complementing these qualities is a sophisticated design that includes one aspherical element to suppress spherical aberrations and notable sharpness and clarity, and a floating optical system is used that maintains image quality throughout the focusing range. A Super Spectra coating has also been applied to limit flare and ghosting and promote greater contrast and color accuracy in a variety of lighting conditions. Complementing the imaging attributes, a ring-type USM is employed to deliver quick and quiet autofocus performance along with full-time manual focus control. Short-telephoto, portrait-length prime is designed for full-frame Canon EF-mount DSLRs, however can also be used with APS-C models where it provides a 136mm equivalent focal length. One aspherical element helps to suppress spherical aberrations and distortion for a high degree of sharpness and accurate rendering. Floating optical system maintains clarity and sharpness throughout the focusing range. 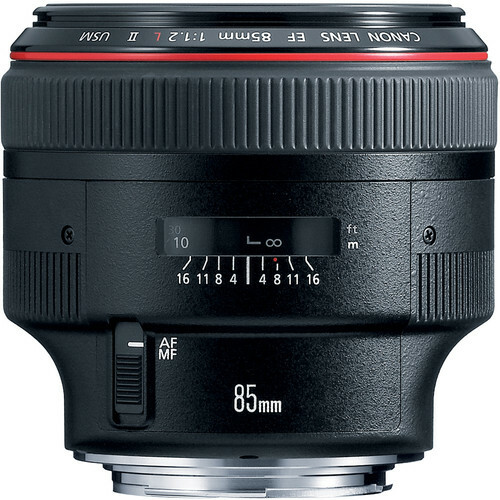 Rent the Canon EF 85mm f/1.2 L II USM Lens from Deck Hand Camera Rentals Today!